Pieces into pieces leaving without any peace. But broken, only love could heal its brokenness. Other one has bypassed the passage of heart. State of heart can’t be depicted by art. And leaves the heart in the state of suffering. For which there is no solution. Images form picture of idea. Its end questions every question. RAJESH KUMAR. (M.A., M.phil, KSLET) He is a prolific writer and a poet, who has published articles and poems in various literary journals. His articles and poems have been published in national journals like Research Innovator and Research Chronicler and also in Inter- continental journals like – Kafla –journal of art, culture and literature and also in .He has attended and presented papers in several academic State, National and International Conferences, Seminars, and Workshops. He has authored an anthology of poetry titled as Expressions of Love. He has been honored with Sahithya Shree for his contribution in the field of literature by KAFLA, International writers club, Chandigarh. He has been felicitated and honored by a state literary award by the Vice Chancellor of Karnataka State Law University Hubli.He has also been awarded Mathew Arnold award for his poetry. He has done his post Graduation, M.A. English from Bangalore University, Bangalore, and KSLET from Mysore University, Mysore and M.Phil from Dravidian university, Andhra Pradesh. He has 10 years of teaching experience, worked in various esteemed institutions of Bangalore. He began his teaching carrier from S.t. Joseph‘s College of Arts and Science, (Autonomous) Bangalore, Jain University, Bangalore, CMR Institute of Management Studies,(Autonomous), KLE Society ‘s S.Nijalingappa College, Bangalore. KLE Law College, Bangalore. 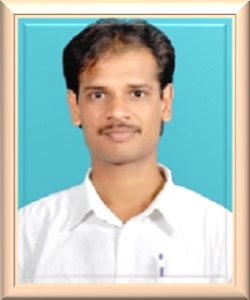 He is presently working in University Law College, Bangalore University, and Bangalore. The above said anthology of poetry titled as Expressions of Love is not only the first book of the poet , but it is one of the first explorations into the theme and purview of love , which projects love not just emotionally , but has analyzed the complex emotion of love more objectively . The Expressions of love are highly experimental in their nature, the titles of poetic entities studies the theme from various dimensions. Human emotions are very complex, ambiguous and difficult to comprehend. The emotion of love is an epitomized emotion of emotions.